Beryllium copper alloys are vital to a number of industries due to their unique combination of strength, hardness, conductivity, and resistance to corrosion. Standard beryllium copper alloys contain close to 2 percent beryllium, while the beryllium content in proprietary alloys can range from 1.5 to 2.7 percent. The standards in the chart below should be for reference only, as alloys can be subject to considerable variation depending upon conditions of heat treatment. For example, thermal and electrical conductivity can increase with precipitation hardening. Also of note, is that the precipitation heat treatment that creates maximum hardness does not correspond with that which provides maximum conductivity. Source: Copper Development Association. Pub 54. Beryllium Copper (1962). Beryllium Copper is commonly used in electronic connectors, telecommunications products, computer components, and small springs. 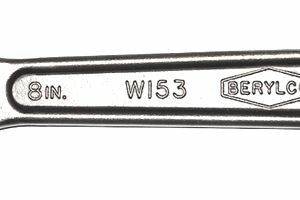 Tools like wrenches, screwdrivers, and hammers used on oil rigs and coal mines have the letters BeCu on them, indicating there are made of Beryllium Copper and safe to use in those environments because they won't cause potentially deadly sparks.